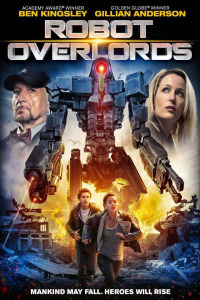 ← Robot Overlords – HD download, DVD and Blu-Ray coming soon! Robot Overlords invade America 3rd July! For all of you who live in the USA. Check out the cinemas where Robots is showing. Go and see it, it’s BRILLIANT!! Yes, ROBOT OVERLORDS will be available for VOD online streaming this week, not least from our digital overlords at Amazon. Some of these look like beautiful indie cinemas, so do support your local movie house and see Robots on the big screen as it was intended.